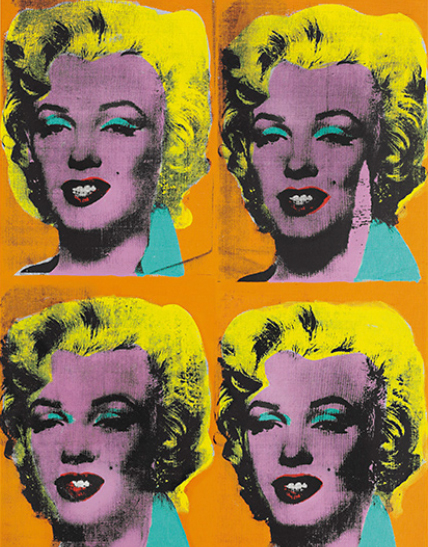 Next Tuesday, Christie's will auction Four Marilyns, painted by Andy Warhol in 1962. Christie's has not announced an estimate for the painting, but the New York Times suggests $40 million; this would not be a stretch, since the same painting sold at auction for $38 million just two years ago. Four Marilyns by Andy Warhol (1962). Q: What makes a small painting - barely larger than two feet square - worth $40 million? A: 1962. In a recent paper, Simone Lenzu and I analyzed the prices of nearly 3,000 works by Warhol sold at auction during the past 50 years. Remarkably, a painting Warhol made in 1962 was worth an average of twenty times as much as one made just eight years later, in 1970. Why is the date of Four Marilyns so important? The answer lies in art history. By the metric of frequency of illustrations in textbooks of art history - i.e. the judgements of art scholars - Warhol's work of 1962 is the second most important body of work made by any artist in a single year during the entire 20th century, behind only Pablo Picasso's invention of Cubism in 1907. The vast importance of Warhol's work of 1962 lies in innovation. In that year, Warhol made no less than three far-reaching formal innovations: he used mechanical techniques to produce paintings, he based paintings entirely on photographs, and he used serial imagery. Each of these three innovations has had an enormous impact on the visual art of the past half century, and each is embodied in Four Marilyns. Aesthetic innovations - Cézanne's constructive brushstroke, or Pollock's drip technique - are refined over time, so late Cézannes and late Pollocks are more valuable than early ones. But Warhol's innovations, like Picasso's, were important as new ideas, so it was the very first works that unveiled them that were the most important. Hence the privileged position of Warhol's work of 1962, like that of the 26-year old Picasso of 1907. Early in 1962, Warhol used stencils to make paintings, including his series of 32 Campbell's soup cans. He first began to use silkscreens to make paintings in August of that year. After Marilyn Monroe's suicide on August 4, he decided to make a series of portraits of her, so his images of Monroe were among the very first works he made using the silkscreen technique he would use for the rest of his life. Andy Warhol's silver fright wig may not symbolize genius as immediately or as universally as the disheveled halo of hair of Albert Einstein. But in the most significant sense of the term - lasting impact on an important intellectual discipline - Warhol's reinvention of painting may stand alongside Einstein's contributions to physics among a small number of the greatest works of genius of the 20th century. 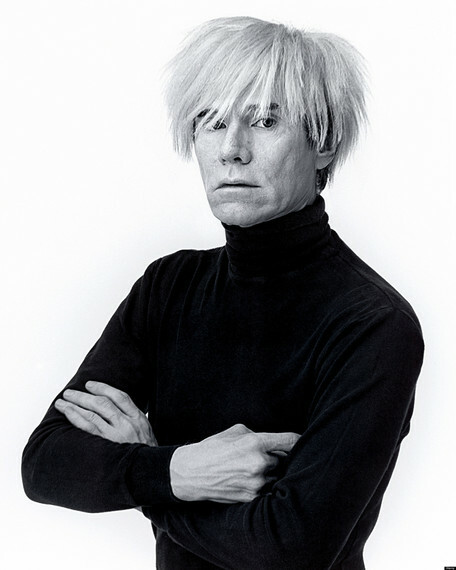 Warhol liked to belittle his own intelligence: he once told an interviewer, "If you want to know all about Andy Warhol, just look at the surface of my paintings and films and me, and there I am. There's nothing behind it." But as the art scholar Kirk Varnedoe acutely observed, art need not be deep to be profound. Like Einstein, Picasso, Welles, Plath, and other young geniuses of the past century Warhol was a radical conceptual innovator, whose new ideas exploded on his discipline, and fundamentally changed it. Four Marilyns was a part of that revolution, and $40 million is the price of genius.